As I’ve written on these pages before, a group of Walker tour guides recently expanded their arts and culture horizons by travelling to Beijing and Shanghai and becoming immersed in both the traditional cultural environs, as well as the contemporary art scene. 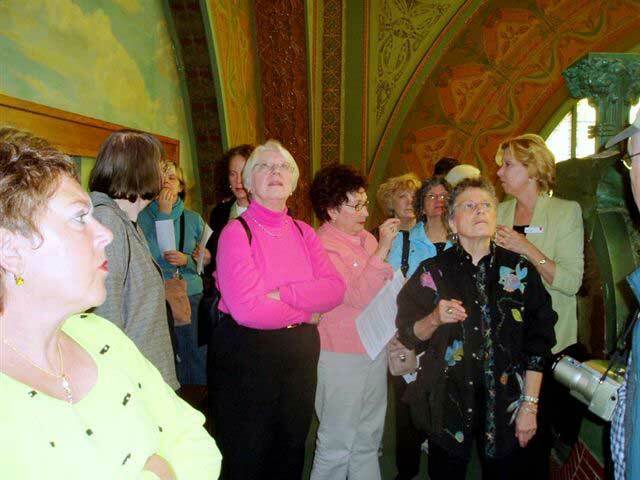 On a smaller, but still worthwhile scale, last week a group of 22 guides travelled to Rochester, MN for some exposure to the Southern Minnesota art scene. We then toured the art collection of the Mayo Clinic. A staggering assortment of both contemporary and historical work that has been donated by physicians and patients over the years fills the Gonda building, designed by Cesar Pelli and opened in 2004. Some highlights of the collection include great prints by Ellsworth Kelly and Joan Miro, enormous glass “chandeliers” by Dale Chihuly, as well as works by Jennifer Bartlett, Andy Warhol, Auguste Rodin, and many contemporary glass artists. 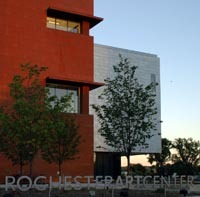 The Mayo offers free public guided tours of their collection, as well as an audio tour. The Mayo’s philosophy involves not only physical care of the patient, but also emotional care through the inclusion of art and music. A lovely thought in today’s environment of managed care.